University or Study Abroad Program? 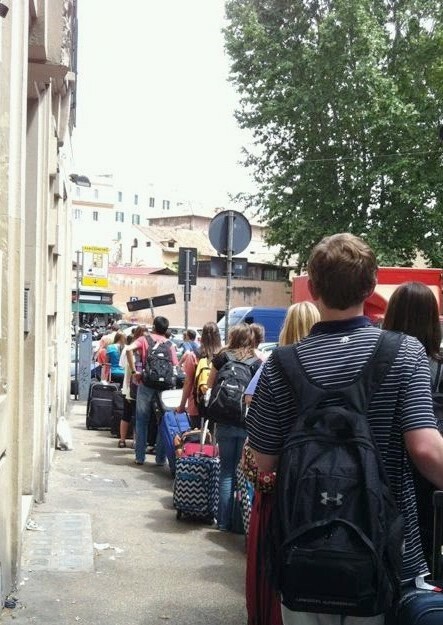 Ypr Usa has over 10 years of experience providing quality housing for university programs in Rome. We know that in order for students to be successful abroad, they not only need an excellent university program, but safe and comfortable accommodation close to campus! Choosing our service will enable your program to focus more energy on the actual study abroad experience and less time dealing with finding suitable accommodations and dealing with issues surrounding housing. We also can provide housing for faculty and for students choosing independent housing. Apartments typically accommodate 4 to 7 students with bedrooms usually assigned as double-occupancy. Each apartment comes equipped with a computer, wireless internet, and a landline phone. Students can make unlimited outgoing calls to other apartments in our network and to national italian landline numbers. They also have free access to dial our 24/7 housing emergency service number. There is always an English speaking person available to assist you. When does your course commence? When does your course end?